Is there a goatman in your woods? Here are some of the most gruesome legends and bizarre sightings of America’s strangest and most elusive cryptid. Cult of Weird headquarters is positioned conveniently between two of Wisconsin’s most significant Goatman legends. It is something of a local rite of passage to tempt fate on one of these eerie back roads where the mysterious beast is said to dwell…and brutally slaughter anyone who wanders too far into the woods. But it wasn’t until my friend and Cult contributor J. Nathan Couch began to uncover the details for his book Goatman: Flesh or Folklore? that I realized how truly strange and widespread the legends were. Goatman, it turns out, does not only lurk in our neck of the woods. There are stories of similar creatures all across the US. One of them (the Pope Lick Monster) is even directly responsible for the deaths of at least four people. So what exactly is this thing that terrorizes people around the country? Couch describes it as an obscure but blood-thirsty bit of folklore – a satyr-like half-human, half-goat creature that generally seems to mirror more familiar legends of a hook-handed killer brutalizing hapless teenagers on Lover’s Lane. He usually has hooves and goat legs, a human torso, and a bad temper. According to one eyewitness Couch spoke to who had an encounter here in Wisconsin’s Kettle Moraine State Forest area, Goatman apparently also has the mouth of a sailor. It doesn’t sounds like Goatman is something you would actually want to encounter, but if you did, where would you have a good chance of finding him? Is there a goatman legend near you? There have been a lot of bizarre encounters with Goatman. 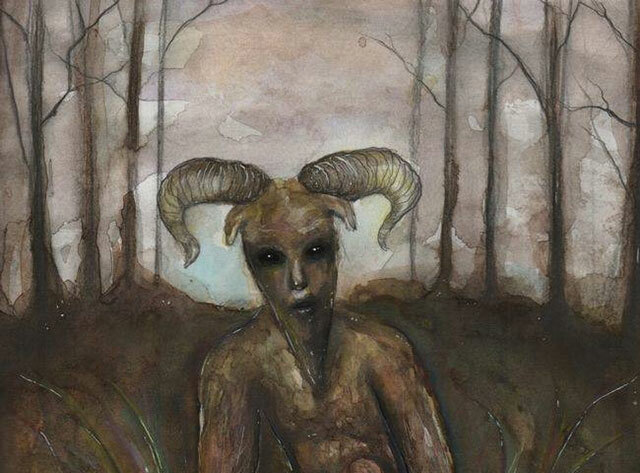 You can read about them in Goatman: Flesh or Folklore? available now on Amazon.